J. Edward Taylor is a professor and Vice Chair of Agricultural and Resource Economics at the University of California, Davis. He has written extensively on the micro-economics of farm labor, development, and the environment and is one of the most cited economists and applied economists (dead or alive), according to Google Scholar. Ed is listed in Who’s Who in Economics and is a Fellow of the Agricultural and Applied Economics Association. He co-authored two award-winning articles documenting the end of farm labor abundance. 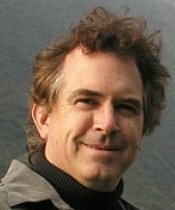 He also co-authored an award-winning book, Beyond Experiments in Development Economics: Local Economy-wide Impact Evaluation (Oxford University Press, 2014), and two textbooks: Essentials of Development Economics (University of California Press, 2015) and Essentials of Applied Econometrics (University of California Press, 2016). Ed has advised a number of foreign governments and international development agencies on matters related to economic development. He was an editor of the American Journal of Agricultural Economics and founded the alternative textbook initiative RebelText.org. Some of his most recent work deals with economic impacts of refugees, economic spillovers from agricultural and poverty programs, and impacts of climate change in low-income countries. Ed’s website is http://jetaylor.ucdavis.edu.